Baja, California Yacht Charters – Sheltered by the 900-Mile Baja Peninsula, Baja California and Mexico’s Sea of Cortez has dozens of protected coves, unique desert islands, dramatic burnt orange cliffs, secluded sandy beaches and pristine sapphire waters. 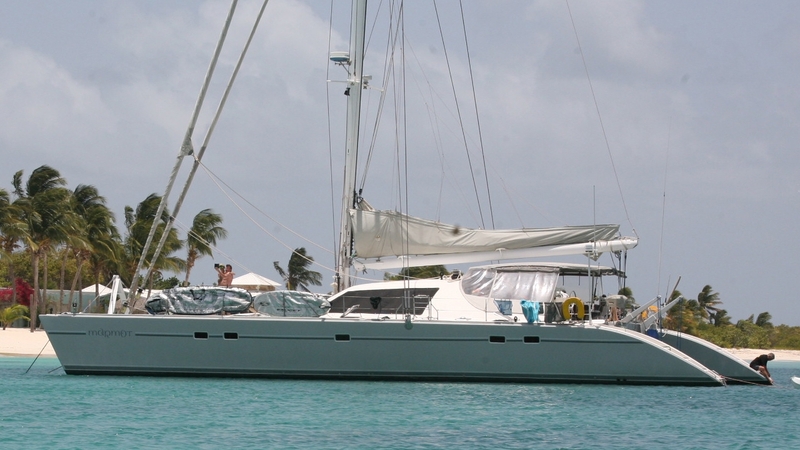 It is the perfect location for your next yacht charter adventure. In Baja’s unspoiled frontier, nature has gone out of her way to provide entertainment: Majestic migratory whales, cavorting colonies of sea lions, pelicans diving for their dinner, playful manta rays and dolphin, and world class sportsfishing! For lovers of nature and isolation, the Sea of Cortez is a magnificent cruising destination aboard a crewed or bareboat yacht charter in Mexico! Welcome to San Jose del Cabo! After being met at the airport by a local guide, you will be transferred to the lovely boutique hotel, Casa Natalia. 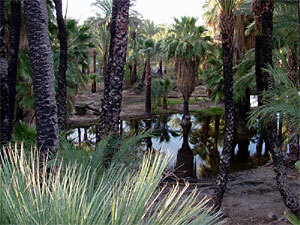 You’ll feel time slow down in this serene oasis set among an enclave of palms. Stroll along the charming streets of historic San Jose del Cabo or stop for dinner at any one of the inviting open-air restaurants in town. Enjoy the warmth of a Baja California sunrise today. 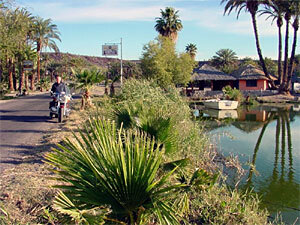 We’ll depart early this morning for La Paz, stopping in the artist’s community of Todos Santos along the way. We’ll stop long enough to enjoy brunch, before continuing on to La Paz. The afternoon is yours to visit the town at your leisure. Your guide will assist you with ideas about where to go and what to see. Later in the afternoon, you’ll be transferred to your yacht where your crew greets you with hors d’oeuvres, cocktails and a sumptuous dinner. We cruise a short distance, and will anchor off a wild desert island this evening. The rhythm of the Sea of Cortes beckons as we cruise north. We’ll weave our way along sunset-painted desert coastline today, stopping in remote coves for swimming, beach walking and guided nature hikes. At the tiny island of Los Islotes we’ll snorkel among a multitude of sea lions and thousands of kaleidoscope-colored fish. Tonight your chef masterfully prepares a delectable meal while your yacht lays anchored off Isla Partida. We step even further into the unspoiled world of Baja California today as deserted coves and old-world missions beckon from the desert shores. If conditions allow, we’ll hike to the isolated and long-abandoned mission of Los Dolores, virtually unknown to visitors in Baja California. Back aboard, we set off in search of dolphins and whales as we continue our Sea of Cortes voyage, finally anchoring in magnificent Bahia Agua Verde tonight. This morning we awaken to sparse, craggy mountains hemming in the green, clear waters of the bay. Stroll along the beach with your Expedition Leader and see what you may discover along the shores. For a true taste of adventure, join your yacht mates for an included trail ride into the arroyos of the peninsula. You’ll explore canyons and scenic vistas, experiencing breathtaking sights as you go. 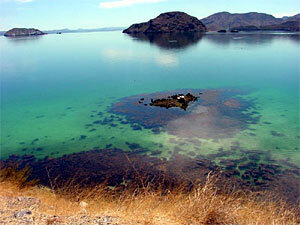 This afternoon we’ll get underway for Isla Danzante in search of the many whales that frequent this area. 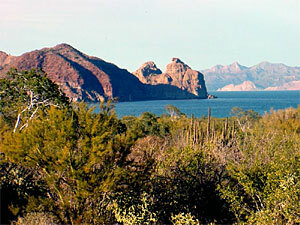 Today we up anchor and cruise north to the charming town of Loreto. 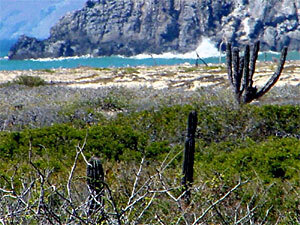 We’ll go ashore at Puerto Escondido, and transfer into Loreto for an historic walking tour of the area. There is a delightful array of shops in town to browse through before reboarding the Safari Spirit. Later as we cruise, keep a sharp look out for blue, fin, pilot and sperm whales as well as large pods of dolphins. We’ll anchor off the village of Nopolo this evening. The remote village of Isla Coyote is our first stop today. You will have an opportunity to go ashore with your Expedition Leader to explore and visit with the locals. The crew of the Safari Spirit will deliver water to the residents as fresh water is extremely rare on the island. Later we’ll make our way to Isla Espiritu Santo. Have your binoculars on hand for sights of blue-footed boobys, pelicans, cormorants and the array of gulls that make their home here. Tonight we anchor off the south end of Isla Espiritu Santo. Buenos Dias! We greet you this morning with a delectable breakfast before bidding you “adios.” You will be transferred to San Jose del Cabo via the magnificent Sierra la Giganta mountains, arriving at the airport late this morning for connections home.